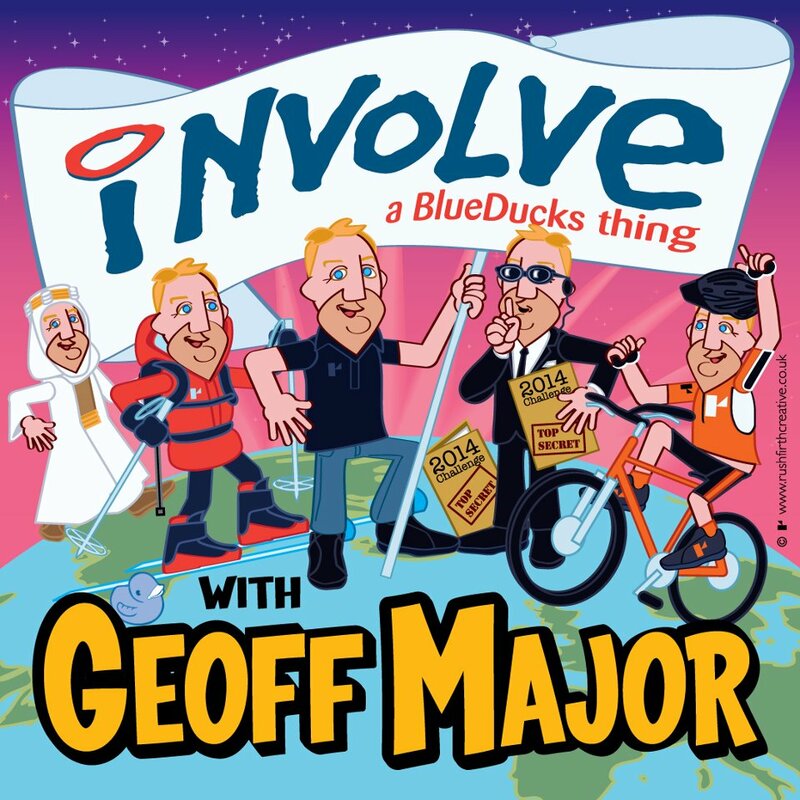 Geoff Major’s 2014 charity adventure idea needs professional 3rd party support to project plan it, risk assess the route, validate the proposed route, support the 174 other people required to take part in it, and build a multi-channel PR campaign, all capable of delivering £100 000 for charity. a) Their company logo (or symbol, or photograph of a loved one) on each top to be worn by 7 people as part of the final leg of a world-first journey. All 129 logo’s will be featured on each top. b) The same logo (or symbol or photograph) on a stand at the north of England’s biggest business conference and exhibition; the Yorkshire Mafia Conference 2013 at the Royal Armouries in Leeds. c) Logo (or similar) to be featured in every PR release and be promoted to the fore in 2 of the PR release, along with 4 others per PR release. d) 12 free places to take part in the final leg of the adventure; that’s a 1:11 chance to win a seat that would cost you £500, and will have significant press coverage. e) 3 lucky ‘129 Club’ members will have their logo published in a paper or magazine article; winners to be picked at random. SMileS SMS are part of the ‘129 Club’ and look forward to helping Geoff with his 2014 charity challenge. If you want to know more about Geoff’s charity adventures please visit his Blog or follow him on Twitter. After weeks of prepping for the event, sorting out our stand and tweeting all about it….the biggest conference in the North was finally upon us, The Yorkshire Mafia Conference. The conference was held at the Royal Armouires in Leeds on the 21st and 22nd of March. As soon as we arrived at the event the atmosphere had a really buzz and everyone was full of enthusiasm for what the two day conference had in store. With around 150 businesses exhibiting at the conference, over 3000 delegates expected over the two days and an exciting seminar list the event was set to be a great networking event for all involved full of opportunities and prospects. We were exhibiting at the conference in the Armouries Hall on stand 8. We’d already set up our stand on Tuesday afternoon so only had a few last minute things to do to get our stand ready, however our trusty Touch Tower which we take along to all conferences blew the screen just before the conference started. It tripped all the electric on our side of the conference hall, leaving many of the stands without electricity. Although the Touch Tower was still a good attraction to have at our stand we couldn’t manage to fix it to load our presentation about our products and services, plus we had lists of memorable geographical numbers which where for sale and available on the day. You can also read this feature on The Examiner website. ORGANISERS of a major business conference have turned to a Colne Valley firm to keep delegates and exhibitors up to date. The Yorkshire Mafia, which holds its two-day conference next month, has chosen Golcar-based text messaging specialist SMileS SMS to provide the SMS platform that will provide delegates and exhibitors with all the latest information they need to know about the event. SMileS owner Mark Evans, a long-standing member of The Yorkshire Mafia, said: “I love the concept of The Yorkshire Mafia – about highlighting the strength and breadth of abilities that lie within Yorkshire.